Have you played tennis as junior or ever received the odd lesson in a school? Perhaps you never quite reached the dizzy heights of playing at Wimbledon (let’s face it, how many of us ever do!). Well now that the dust has settled, and you have remembered the good times, come back for a new challenge? You might just surprise yourself! Depending on the club, these sessions may be daytime or evening. They will be open to anybody and clubs will fit your play to a particular class. Very informal and relaxed, no pressure and paced according to ability. An LTA initiative aimed at people returning to the game. 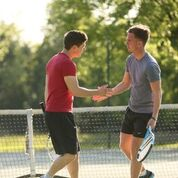 During the six week refresher course you will be taught new skills and be shown how to serve, rally and score, so that by the end, you will be able to enjoy fun matches with your friends, family or other people you meet. 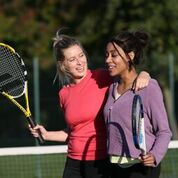 A more light hearted way to play, these sessions often encourage players to bring old wooden rackets – if you still have one! 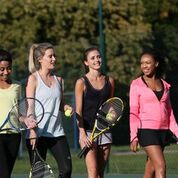 Introduced by the LTA, Advantage Tennis Training focuses on a number of tactical themes each week, giving your game a real edge. You’ll improve your level with sessions run by professional coaches and training with similar level male players.